This event was organized by Delft Blockchain Lab. In this second Annual Delft Blockchain Symposium, DBL gave an update on its research in blockchain technology. 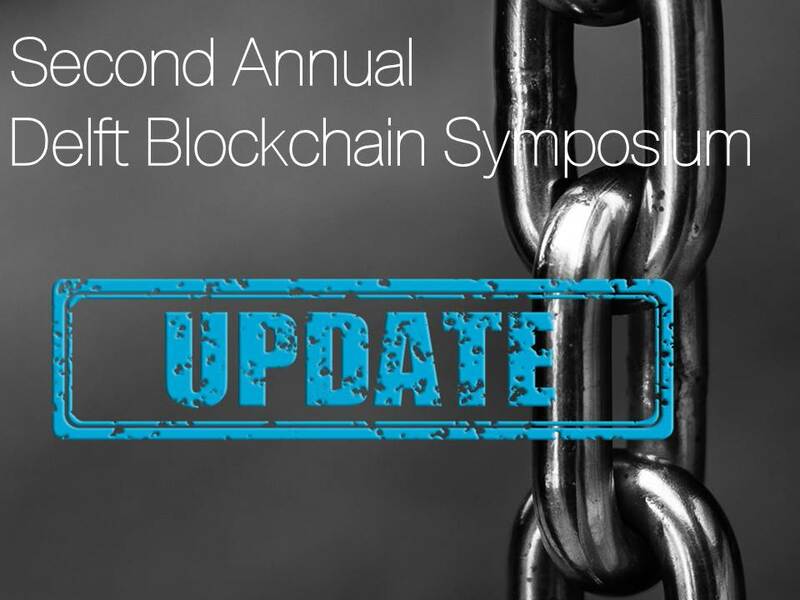 In addition, the symposium had feature a keynote talk by one of the most prominent researchers in blockchain, Bryan Ford of EPFL in Switzerland, and presentations on legal and governance aspects of blockchain technology. There were presentations by representatives of research groups and companies. Moreover there were a demo by students of the ‘Blockchain Engineering’ Course. Hidde Terpoorten (APG) - Future of pensions? Opportunities and challenges of developing shared infrastructure in the pension industry. Demo by students - Dollynator Blockchain + AI = economic robot? Bryan Ford (EPFL, Switzerland): Coins, Clubs, and Crowds: Scaling and Decentralization in Next-Generation Blockchains and Cryptocurrencies. Prof. Bryan Ford leads the Decentralized/Distributed Systems (DEDIS) research laboratory at theSwiss Federal Institute of Technology in Lausanne (EPFL). Ford focuses broadly on buildingsecure decentralized systems, touching on topics including private and anonymous communication,scalable decentralized systems, blockchain technology, Internet architecture, and operatingsystems. Ford earned his B.S. at the University of Utah and his Ph.D. at MIT, then joined the facultyof Yale University where his work received the Jay Lepreau Best Paper Award and grants from NSF,DARPA, and ONR, including the NSF CAREER award. His continuing work receives support from EPFL,the AXA Research Fund, and numerous industry partners. He has served on numerous prestigiousadvisory boards including on the DARPA Information Science and Technology (ISAT) study group, theSwiss FinTech Innovations (SFTI) advisory board, and the Swiss Blockchain Taskforce.